Bath salts offer a long list of benefits, including relief of stress and fatigue, skin rehydration, and soothing of sore, tired muscles. 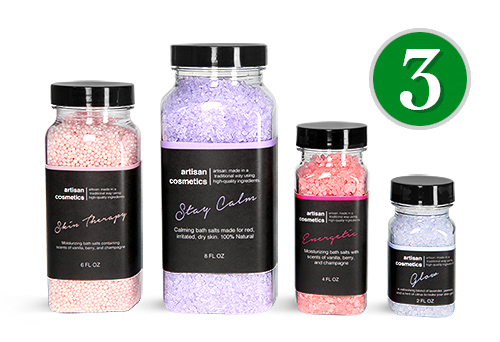 SKS provides a wide variety of unique plastic and glass bath salt containers that could be a perfect pairing with your vibrantly colored bath salts. SKS features a variety of clear plastic bath salt tubes with caps, offering a sleek, slender style of bath salt packaging. 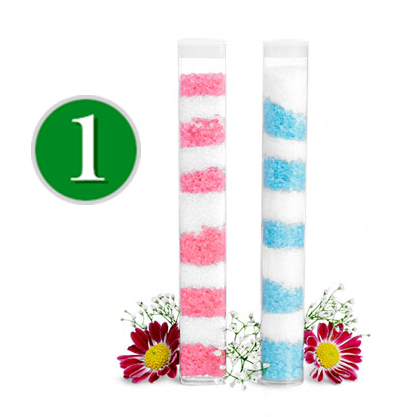 Choose plastic tubes composed of propionate which is light and flexible, offering high clarity to showcase your brightly colored bath salts. These tubes are offered in a selection of round, oval, and rectangular styles with natural plugs, or round tubes with silver threaded caps for added appeal. Clear glass boston round bottles with corks or black cone lined caps could provide bath salt packaging with elegant style. From 1/2 oz to 32 oz sizes, these round glass bottles could be used to create full product lines of bath salts, easily complimenting glass jars and vials. Don't forget to add clear shrink bands, creating a finished look that also provides a reliable tamper evident seal. 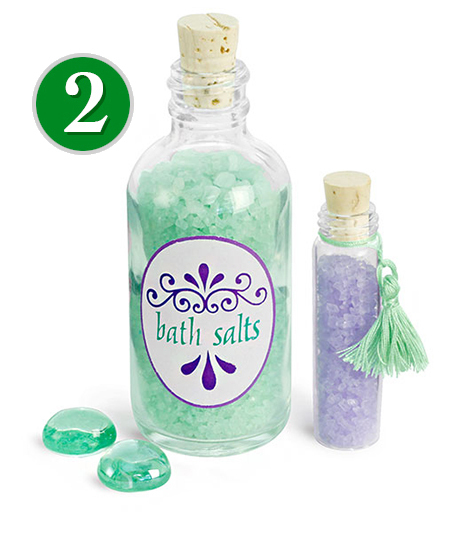 For a detailed view of these glass bath salt bottles, take a look at our video, and browse our glass bath salt container ideas! A top choice for bath salt packaging is clear glass and plastic square bottles that offer a unique design with a range of useful features. These square bath salt bottles include wide openings for easy pouring, comfortable to hold sides for one handed control, and easy to label broad panels to make your bath salt packaging stand out. For more information regarding these versatile square bottles, read our product spotlight and watch our video. Glass candle jars uniquely molded for compatibility with glass flat pressed lids can also be used to present bath salts with high end appeal. 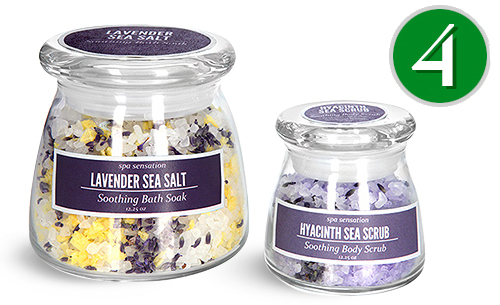 Choose from a wide tapered base, cylinder style with flared bottom, or a tapered column style, all with glass lids to display your distinct aromatic and soothing bath salts. The glass lids contain rigid plastic fitments allowing them to fit the jars securely, keeping your bath salts away from moisture between uses. For more information on these lids and stylish bath salt jars, read our informative product spotlight and watch our video. 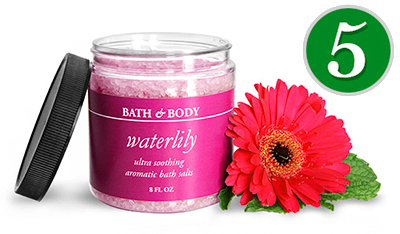 For durability, style, and a large variety of size, color and cap options, PET plastic bath salt jars are a top choice! Clear PET straight sided jars with black smooth PS22 lined caps from 1/2 oz up to 16 oz can provide a visually appealing look, while also providing the security of tamper evidence. Take a look at our video for a quick overview of all the PET straight sided jars we carry and don't forget the other styles of PET plastic jars!